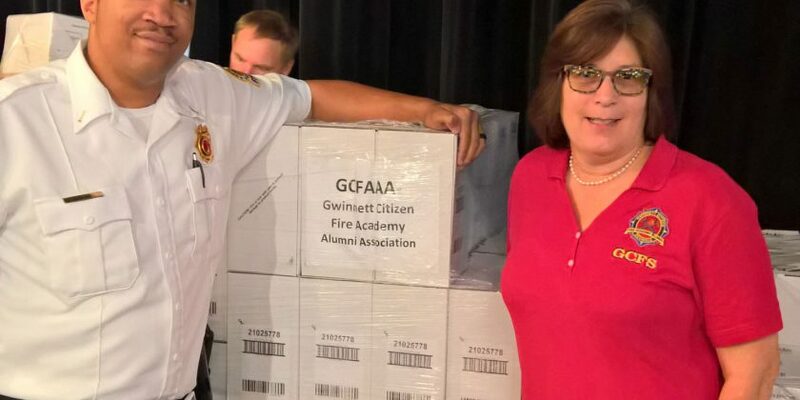 The Gwinnett Citizen Fire Academy Alumni Association (GCFAAA) received a donation from Operation Save A Life on October 9, 2018 of 700 smoke alarms and 150 carbon monoxide alarms. The alarms will be used to support the Gwinnett County Department of Fire and Emergency Services’ residential smoke alarm program. Special thanks to WSB-TV, KIDDE, The Home Depot and Attorney Ken Nugent for sponsoring Operation Save A Life and making this opportunity possible.